Mmmmm... Ribs. There is not much more I need to say about these bad boys! They are fall off the bone goodness. 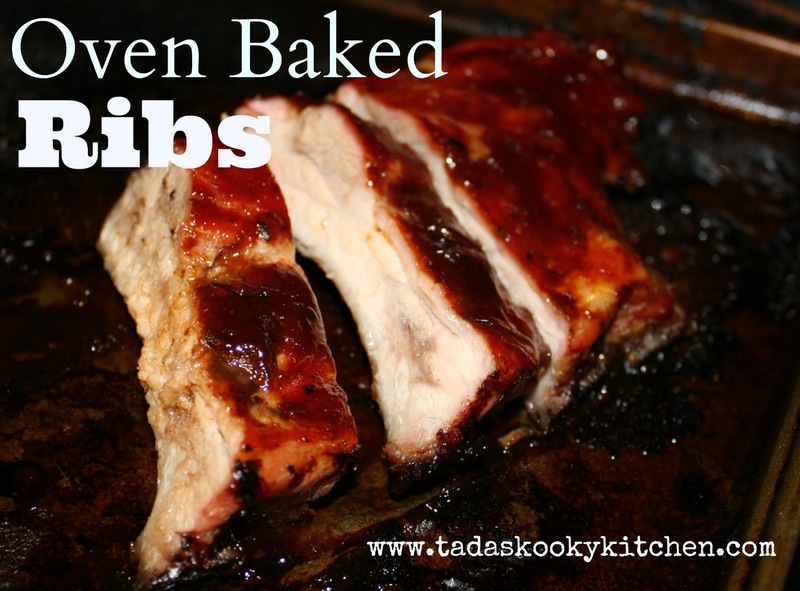 My hubby got this recipe years ago and It's the only way I cook them now. Preheat oven to 250* F. Mix equal amounts of salt and sugar, add paprika to taste. Roll each portion of meat in sugar/salt/paprika mixture. Place meat in a large baking dish in about 1 inch of water. Bake for 1 hour. Remove. Drain water and add BBQ sauce as needed. Increase heat to 400* F. and Bake for 30 minutes. Remove and Serve.